What is filigree? We will try and give you a basic rundown in this article, along with the definition and history. 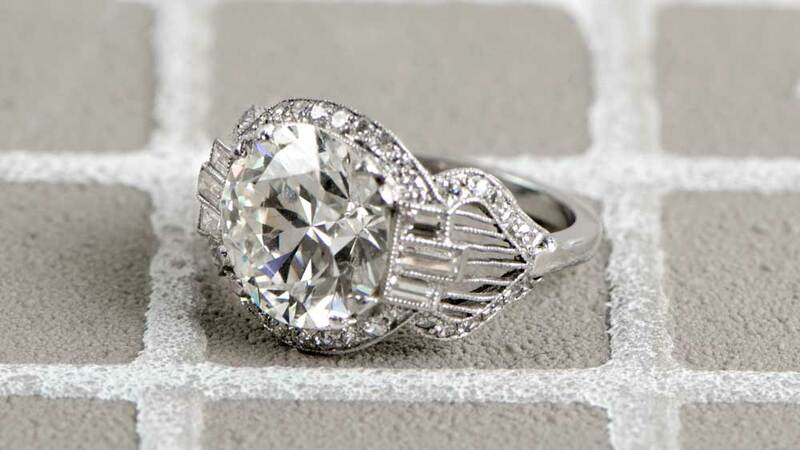 True aficionados of rare and antique diamond jewelry know that filigree is one of the cornerstone trademarks. Discover everything that you need to know. The definition of the word filigree comes from the word “filigreen”. Filigreen derives from the Latin word “filum” meaning thread and “granum” which means grain. Grain is a reference to the small beads. 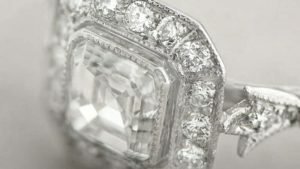 When referring to jewelry filigree, jewelers have a very specific rendering that sometimes doesn’t correlate with the generic terminology. 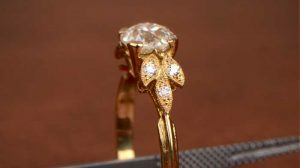 Filigree is a delicate embellishment in which fine, pliable threads of precious metal are twisted or curled into a design and then soldered onto (or into) the jewelry. These designs can take the shape of gorgeous scroll-work, lacy flourishes, symmetrical Art-Deco style designs, and other fascinating motifs. 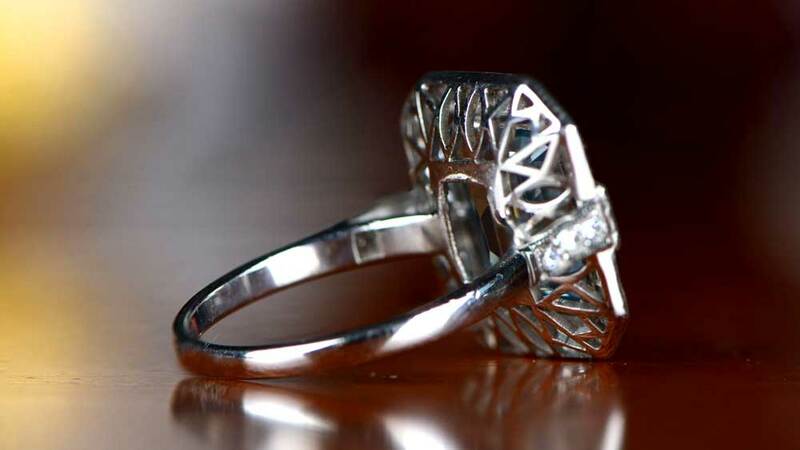 Filigree is used with all pliable metals and isn’t limited to the expensive and precious metals. Some people spell filigree as filligree or fillagree. Filigree is as old as jewelry. Archeologists have unearthed filigree jewelry from the ancient Mesopotamians that is dated approximately 5,000 years old. In Asia and India, it has been a strong part of their jewelry for millennia. Filigree still remains overtly popular on that side of the world. 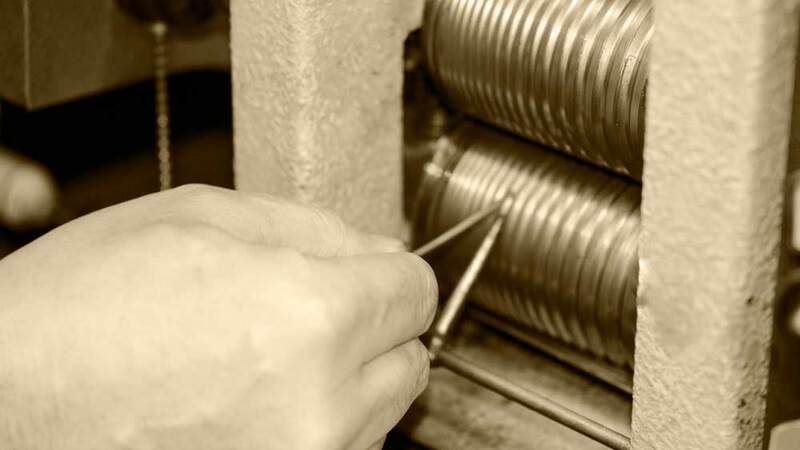 Often it can seem similar to hand-engraved jewelry, but it is actually the exact opposite. 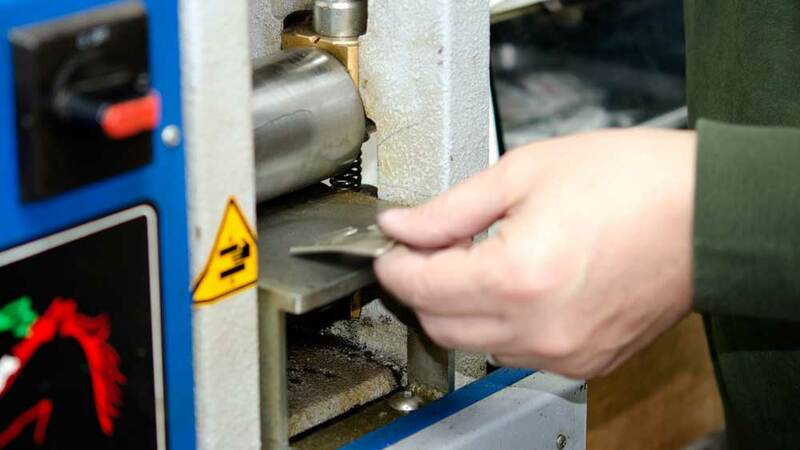 Engraving involves sculpting or carving away at a piece of jewelry for decorative effect, while filigree is the process of laying metal embellishment on top of a piece. Sometimes filigree is accompanied by milgrain. The jewelry stretches the metal until he has a very fine thread. More often than not, he will connect many such pieces together. Other times he may also add small metal beads as well. The final step may also include melting the threads together with a blow-torch. There is another way to create the effect of filigree and that requires the jeweler to cut out whole from a solid piece of metal. 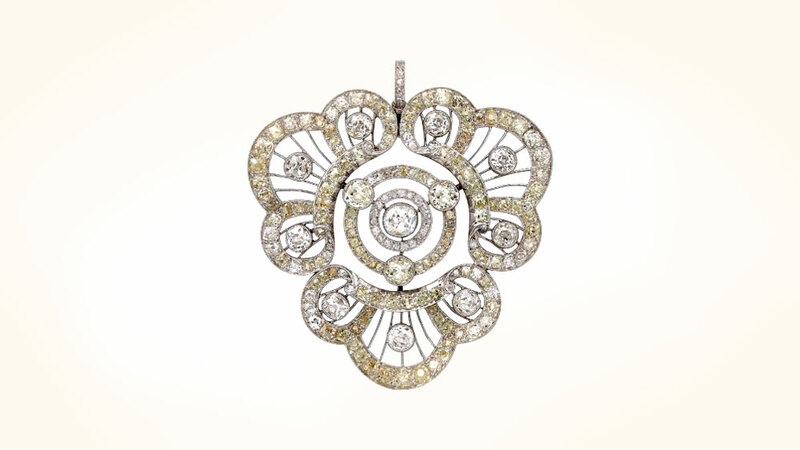 Many of the smaller designs in jewelry openwork designs may have been created this way. In antique jewelry, most of the filigree will be openwork filigree. Openwork filigree will display space between each piece. Filigree is one of the most frequent elements of antique jewelry. It is for that reason that it isn’t too hard to find many notable examples of filigree jewelry. Filigree can be found in modern jewelry and in antique jewelry. Because the jewelers during the 1920-1940s were far superior to the jewelers of today, we will show examples of filigree from antique jewelry. In this ring, shown above, the openwork filigree creates a pattern that folds underneath the ring and also bridges towards the shoulders. 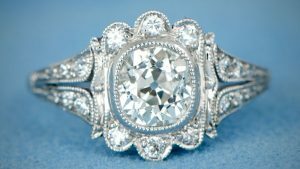 This style of filigree on the under-gallery is very common with antique and vintage engagement rings. If you pay attention to the details you will usually see soldering marks where one piece of metal meets the next one. 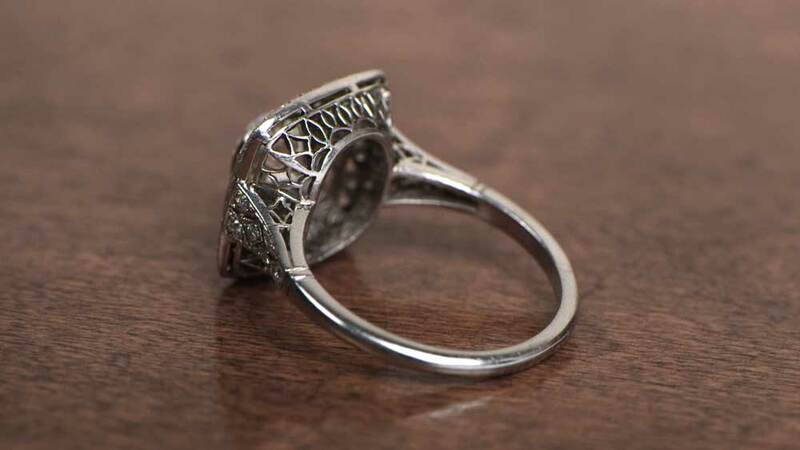 Filigree is commonplace on antique rings. Below are a few close-up examples of the filigree. 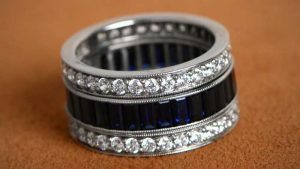 Some of the examples come from older rings. Age softens the details. The examples of the antique ring show the patina over the craftsmanship. Do you have any questions? Feel free to ask in the comments below! 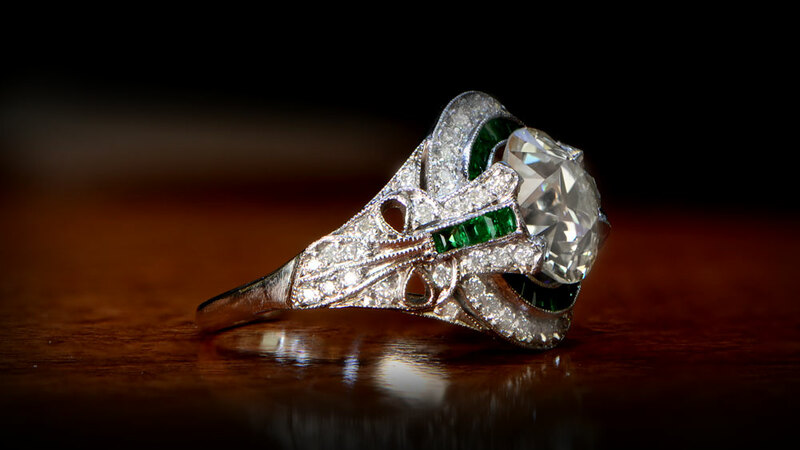 To learn more about antique jewelry, click here.